Do you have an upcoming job interview? While some nurses are comfortable with job interviews, there are some who feel highly anxious and nervous at the prospect. Anxiety and nervousness can affect your job interview performance, so alleviating them is important. While it may be impossible to completely get rid of your anxiety, there are steps that you can take to calm yourself down and decrease the likelihood that your nervousness will show. 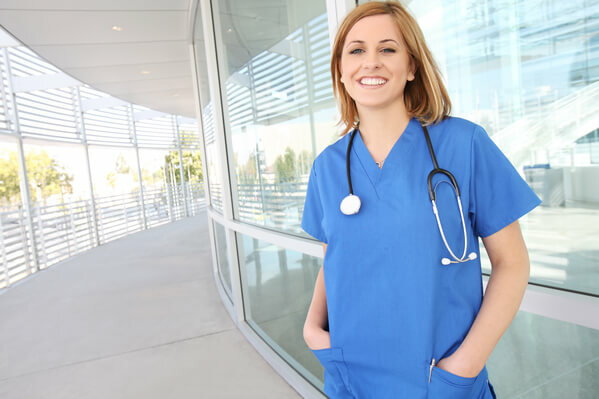 ATC Healthcare Services, a provider of medical staffing in Upper Darby, PA, offers tips that may be able to help you. Am I nervous because I lack the confidence as a nurse? Do I feel nervous because I feel unqualified for the nursing job or position that I am applying for? Is the potential employer I’m interviewing for known for giving out tough interviews? Are there particular questions that really make me anxious? Am I interviewing for a higher position or a new nursing specialty? Answering these questions may be able to help you better understand your interview apprehensions. Research the company or organization ahead of time. Learning their company mission, vision, values, culture, and other aspects of the organization will provide you with more confidence when the interviewer asks you questions about your understanding of their company. Treat it like a conversation. If you go into an interview feeling like you’re about to go on a trial, you will definitely feel nervous. Remember, it’s a two-way conversation, even though it may be more formal and structured. Aside from answering your interviewer’s questions, make sure to prepare your own questions as well. Yes, you want to look good for your interview. However, if you wear a shirt that’s too tight or a skirt that restricts your movement, it may affect your sense of poise and calm. Choose well-fitting clothes that make you feel professional, attractive, and confident. Note: You can also research the company’s dress code ahead of time. Some companies have strict dress codes. It may sound cliché, but most interviewers will ask you about your strengths and weakness. As much as possible, provide answers related to the position that you are applying for. For instance, when talking about your strengths, you can talk about how you were able to successfully handle a patient’s needs through your unique skill set. Whether you are interviewing for new nursing employment or if it’s an interview for a promotion with your current organization, make sure to keep these tips in mind so that you can overcome your anxiety. This entry was posted in Healthcare Jobs and tagged healthcare staffing, Job Interview Tips, Medical Assistant. Bookmark the permalink.